Good To Begin Well, Better To End Well: Holiday Hiatus with Santa Thor! Or how about a fabulous 4.5 Star Review of FORGED BY FATE (plus a giveaway)? Have a happy holiday season (whatever you celebrate!) and a fantastic new year!! 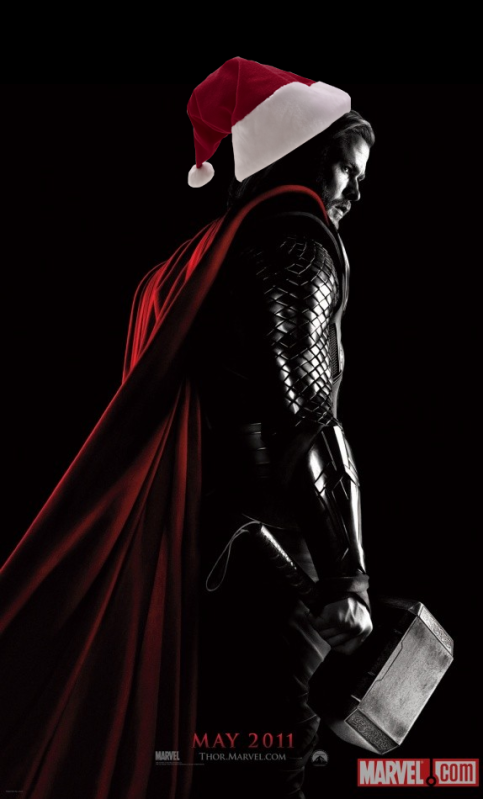 Thor's Santa Hat edit by the fabulous Zak Tringali. also it is all the more fitting after you read the comic strip. Just fyi. *Hint: it might be related to my next release! And um. Hunky Orcs.